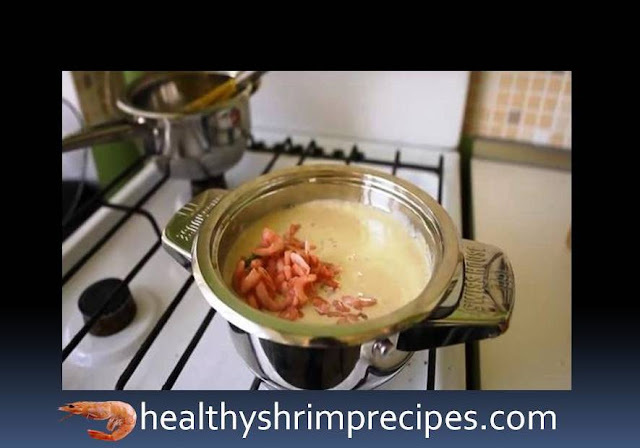 The unforgettable taste of tender and light Corn Shrimp Soup recipe will appeal to all gourmets. 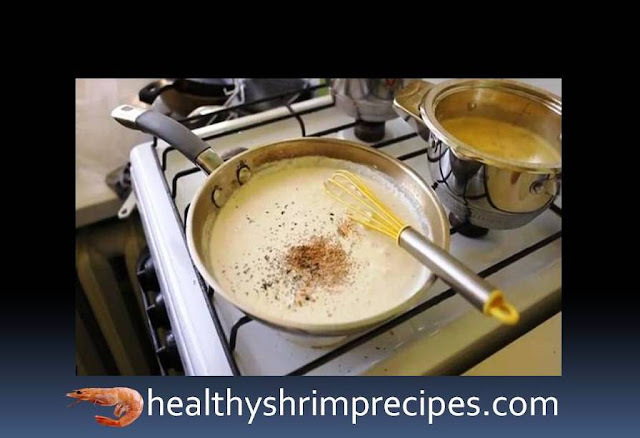 And preparing this matchless dish is very easy and simple, and the set of ingredients for cooking soup is pretty simple. 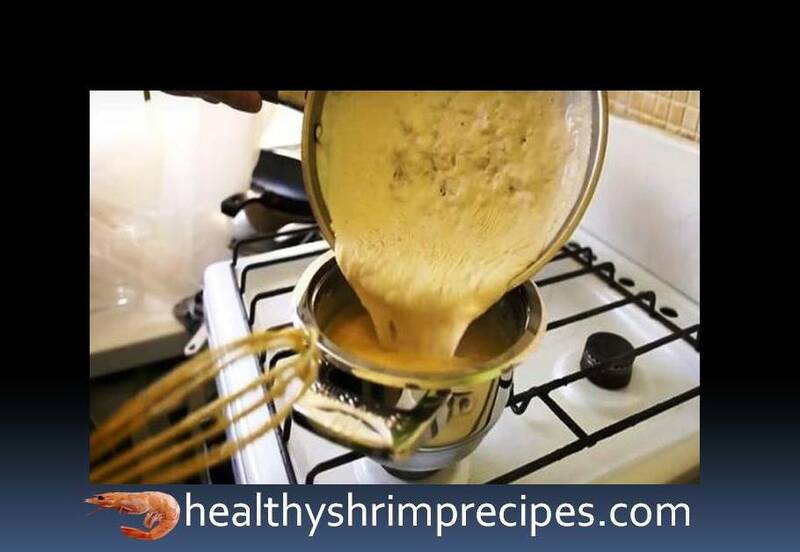 I got the recipe for cooking corn soup with shrimps from my sister; she often cooks it for her family. And, having tasted such soup at her, I began to prepare it for myself it is very tasty, tender and light. Time for cooking takes quite a bit, and once cooked, you will not be able to forget the taste of the soup and will cook it again and again. 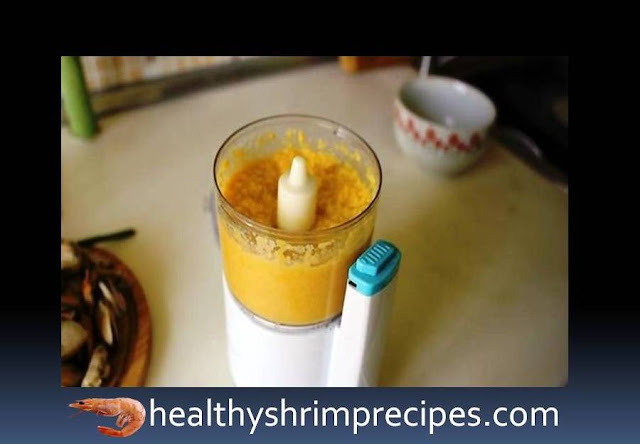 @Step 1 - Drain the liquid from the jar of corn, spread the corn into a blender and grind it into the puree. @Step 2 - Shift corn puree in a small pot add water. Mix well and bring to a boil. @Step 3 - In another saucepan, you must warm the cream. You can replace them with milk, but I like it more with cream, the soup is tenderer. @Step 4 - In a pan, heat up 2 tbsp. spoon butter, and add flour. Fry a little, stirring constantly, and add cream, salt, black pepper, and nutmeg. 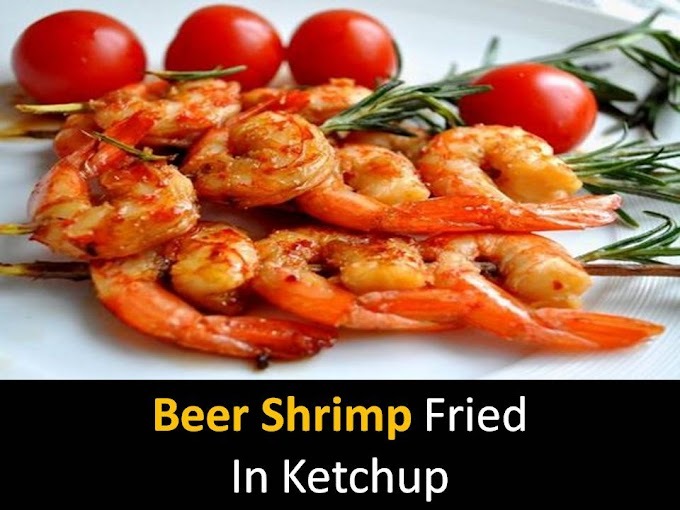 Bring to a boil and remove from heat. 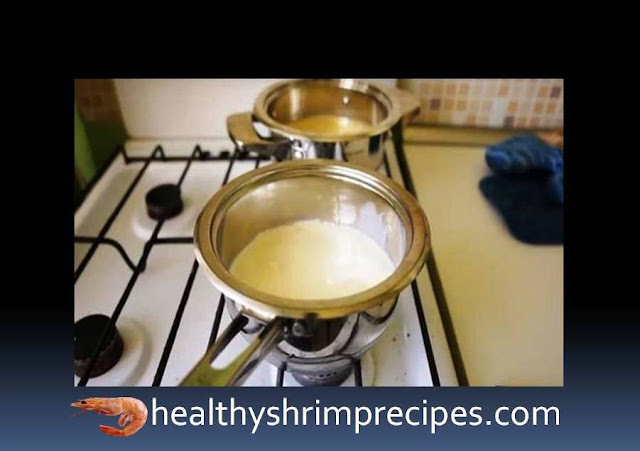 @Step 5 - We shift the contents of the pan to the saucepan with mashed potatoes, mix well and cook for another 10 minutes. @Step 6 - To make the soup tender and very tasty, we filter it through a fine sieve. 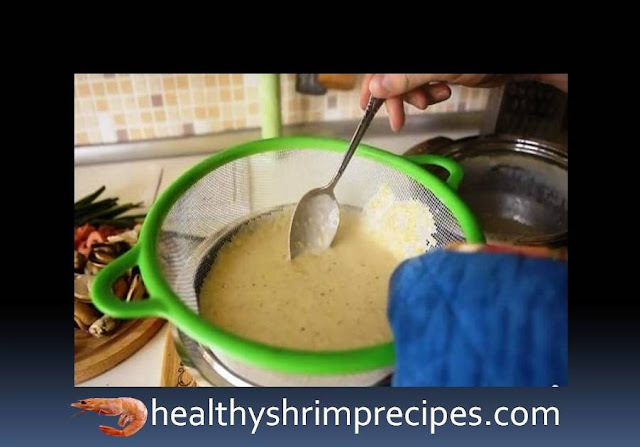 @Step 7 - Pour the mashed puree soup into a saucepan and put it on the stove again for 10 minutes to boil over. You can add more salt to taste. @Step 8 - After 7-8 minutes add the shrimp. I have them already boiled and peeled, and boil them, just to keep warm. 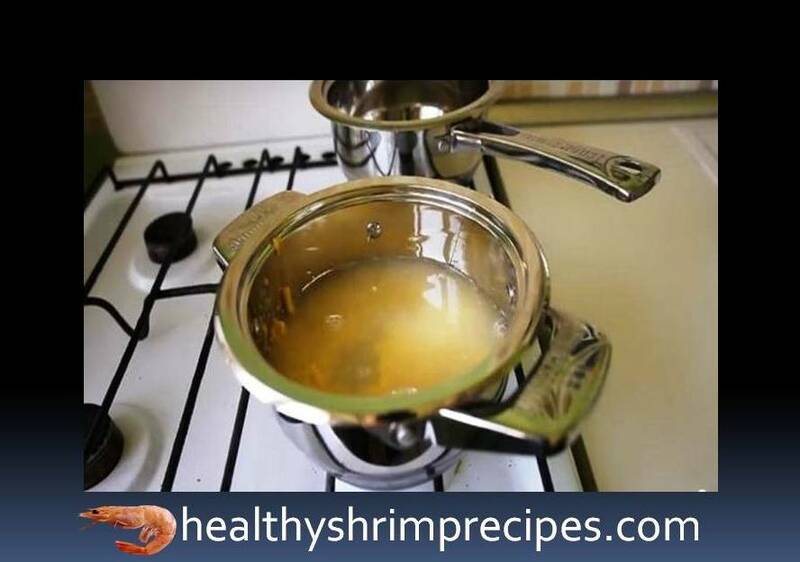 @Step 9 - Add raw shrimp 5 minutes before the soup is ready. 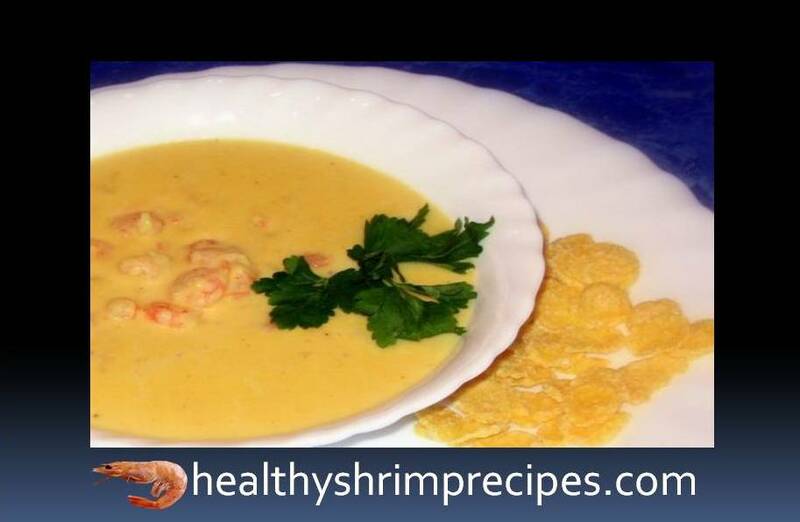 Decorates the Corn Shrimp Soup recipe with greens and serve with cornflakes or crackers.